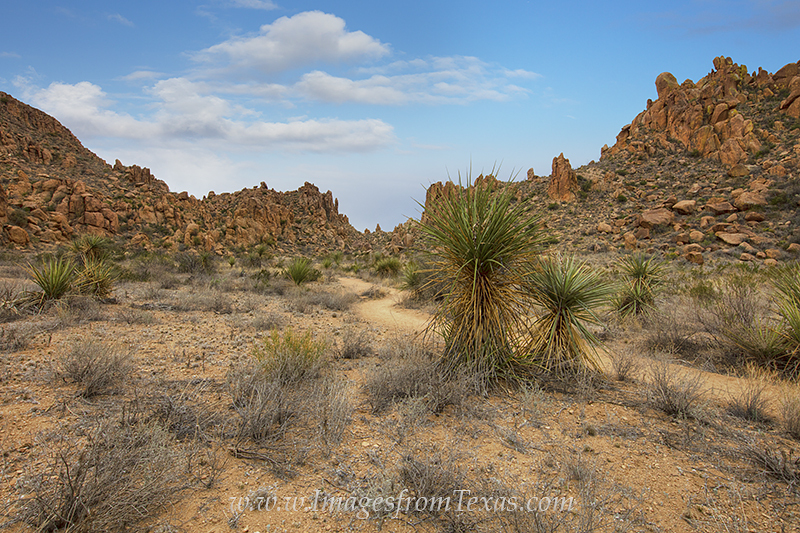 The Grapevine Hills Trail in Big Bend National Park leads to one of the famous places in this area - Balanced Rock. The trail is an easy 2.4 miles round trip with only the last tenth of a mile being somewhat uphill. The view of the surrounding Chihuahuan Desert and Balanced Rock at the top is not a bad reward for a short walk. Photo © copyright by Rob Greebon.